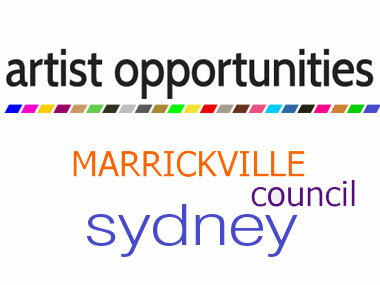 Applications are now open for Marrickville Council’s Aboriginal and Torres Strait Islander (ATSI) Arts Studio Program. The Program provides support to Aboriginal artists and crafts people living or contributing to Marrickville’s art and cultural life. Council offers a studio space located within the Addison Road Centre Marrickville for a 12 month term of residency. Emerging and mid-career artists and crafts people are invited to apply. Contemporary Indigenous Designer, Lucy Simpson, has recently completed a year-long residency at the ATSI Studio. Lucy has been developing her Gaawaa Miyay Designs textile range, which draws inspiration from her Yuwaalaraay heritage. Mayor of Marrickville Councillor Morris Hanna said Aboriginal and Torres Strait Islander communities make an important contribution to the artistic life of Sydney’s inner west. “The work of artists such as Lucy, add to the rich cultural life of Marrickville,” Clr Hanna said. “Through her unique textile designs, she blends the traditions of her ancestors with the contemporary, creating the next generation of Indigenous storytelling. “This residency offers Aboriginal and Torres Strait Islander artists, such as Lucy, an opportunity to explore their arts practice in the vibrant community hub of Addison Road Centre,” Clr Hanna said. The Addison Road Gallery will showcase the works produced by Lucy Simpson throughout her residency on Thursday 22 March from 6pm – 8pm. Lucy will also speak about her unique textile range. The evening will include performances from local Indigenous acoustic group, Stiff Gins. There is also a chance to view the ATSI Studio at Hut 37, Addison Road Centre. Please RSVP to 9335 2249. Applications for Council’s ATSI Arts Studio Program close on Wednesday 4 April 2012. Visit Council’s website to apply. Council’s Aboriginal Liaison Officer may be able to assist applicants complete the online form. Council also encourages Aboriginal and Torres Strait Islander artists to register their details to receive and share information about exhibition openings and grant opportunities. For more information on any of these activities call Council’s Arts and Cultural Development Officer on 9335 2249.